Hey everyone! This is my first guest post, and I am really excited about it! Usually I can be found writing over at Adventures with Alexandra. My posts there are about everything from my fitness and health journey to being an extra on The Vampire Diaries to receiving letters from princesses all around the world! I actually had a hard time coming up with a topic to write about today. It was starting to stress me out a bit, but then it hit me! I’ll write about stress – something everyone faces from time to time. 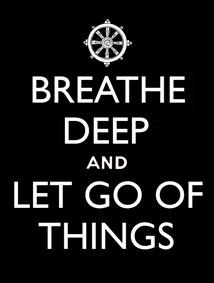 Take deep breaths! Deep breaths are a natural reliever of stress – this is my go-to stress buster. Exercise! There are so many benefits of exercising for the mind, body and soul. 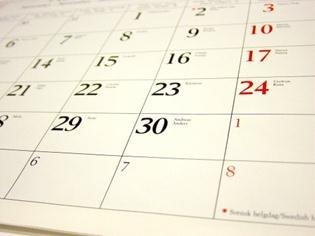 Be sure to pencil in some time to get your fitness on in your calendar even if it is only for 30 minutes. Eat healthy foods! In college, I would always buy chocolate covered raisins and Frosted Mini Wheats during exam week and snack on them while I studied or wrote papers. True story. I don’t recommend doing this as it will only make you feel gross and lethargic. Grab apples or celery sticks with peanut butter instead! 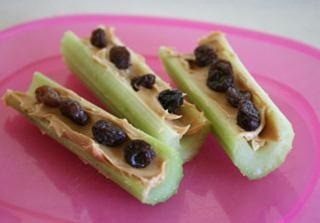 “Ants on a log” is one of my favorite treats! 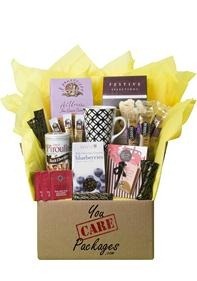 If you are studying for finals or working on a project at work with others, plan care packages for each other (like a Secret Santa type thing). Everyone can draw a name in advance and plan a package for someone else. Put writing utensils, snacks, coffee (or a gift card to a coffee shop), motivational quotes, and other fun, little goodies in a package and deliver them before “Stress Week” begins. Be creative! Clean up your space! 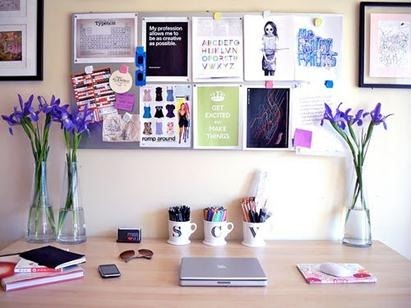 Whether it is my desk or my whole room/office, I always feel better when my space is clutter free. Organize your time! I would always organize outings with friends and time to relax/watch my favorite television shows even during my most stressful weeks. Why? Because we all need a little time to unwind – all work and no play will probably increase your level of stress! Do you have any tips on fighting stress? Leave them in the comments below! I’d like to take a second to thank Meg for letting me take over her blog for the day and for everyone that read this post. I hope it is helpful to you. 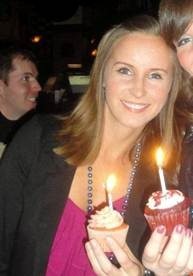 Be sure to check out Adventures with Alexandra if you have time and follow on me on Twitter!